In the UAE, the law that prevails is Sharia law. Being a Muslim country, the UAE considers marriage to be the only legal relationship between a man and a woman to have children. A man and a woman cannot live together if they are not married to each other. If anyone is found doing so, they get punished badly. The punishment may include jail terms as well. so, one should always keep in mind the act that lives in relationships are not at all allowed in the UAE. A person living with a woman without getting married to her may not only get punished but also deported from UAE. Muslims follow the religion of Islam and in Islam, marriage is a legal contract between a man and a woman. The aim is to basically protect the rights of the couple and let them have children together. Where should the marriage get registered as per Sharia law? 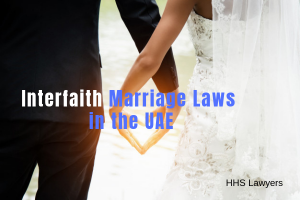 As per Sharia law, the marriage should be registered at the Sharia court located in UAE. The aim of the registration is to make the marriage legal. Where should the non-Muslims register their marriages? The non-Muslims can get married in the church as per their religion and can follow the laws that are applicable in their respective religions. Non-Muslim expats can contact their embassies for marriage. Before visiting the Courts in Dubai, register the marriage through the website of the court using electronic means. Fill the form on the website and submit it. After the submission, a reference email will be sent to you. Do not forget to take the printed email along while visiting Dubai courts for marriage registration. One of the party must have the residency or the employment visa for registering the marriage. Anyone including Husband, wife or the guardian of wife ought to have the visa for marriage registration in UAE. Spouses must bring their national ID cards along with their passports for the sake of checking the visa status. Age is a big matter of concern for getting married in Dubai. The age of the spouse should never be more than the double of his or her partner’s age. Also, a person needs to be 18 or more than 18 years to get married. If someone is under the age of 18 and still wants to get married, he or she must first take the approval of the Chief Justice of Personal Status Court. Only then the marriage can be legalized. Obtaining a pre-marital medical certificate is also very important. Government hospitals in Dubai or government clinics can issue such health reports. The basic aim behind the pre-marital medical test is to rule out the diseases like thalassemia or HIV/AIDS that can be genetically transferred from one person to another. Along with the bride and the groom, witnesses should also be present at the wedding. The presence of the bride’s father along with 2 male witnesses is mandatory. If the bride’s father is not alive, his death certificate would be needed. Furthermore, if the bride’s father cannot be there at the wedding, anyone who is the closest male guardian of the bride can act as a witness. If the bride’s father is alive but cannot attend the wedding, a proxy guardian of the same religion can be delegated. 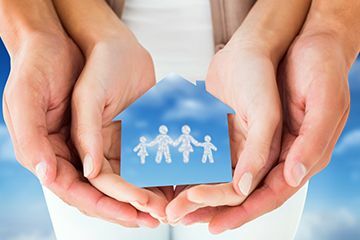 Note that the marriage processes will be carried out with the help of a certified power of attorney. Fees for the marriage contract may vary from 60 AED to 500 AED. It basically depends upon the procedures. Marriage officers may help you and advise you in such conditions. For newly converted Muslims, the conditions may vary. 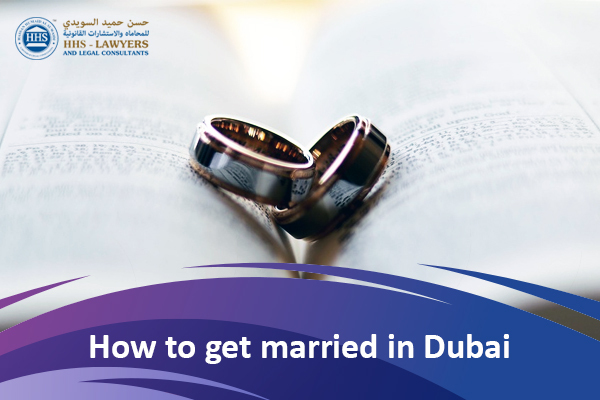 The legal consultants for getting married in Dubai may help you with uncertain cases. Same is the case with the divorcees, widows, widowers or expats weddings. A ‘certificate of embracing Islam’ should be obtained by the newly converted females. Also, the certificate should be submitted in court to marry. These certificates should be obtained from the Islamic center approved by the General Authority of Islamic Affairs and Endowments (Awqaf). Official certificates or that of divorce judgments should be submitted by the interfaith marriages of divorcees. For the court marriage of widows and widowers, death certificate of the late spouse should be submitted. 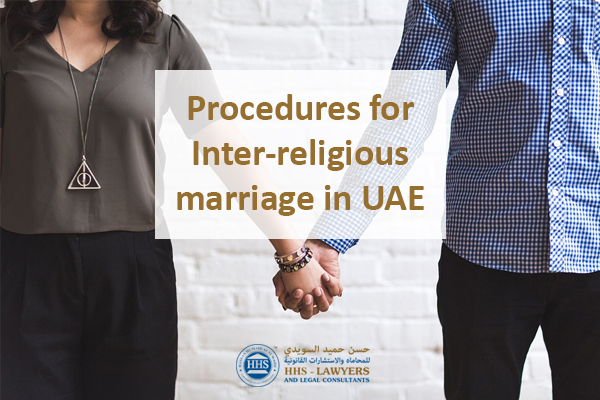 For performing the legal processes of getting married in Dubai, get help from HHS lawyers and legal consultants. We have inter-caste marriage lawyers as well who will be there for you with all their knowledge and expertise. Previous Post Documents Needed to Draft a Power of Attorney Next Post How to File A Case in Labour Court in Dubai?